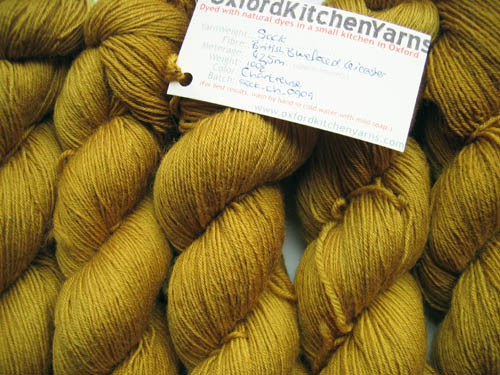 I really love this colour (in fact, I’m probably going to hold one skein back for myself 🙂 – It’s a really acidy yellow, and it has a real glow to it. The perfect early autumn shade. I love the colors you dye your yarn, so under-stated and beutiful!